In the following Contract the ‘Photographer’ shall mean ‘Tianna Jarrett-Williams” trading as ‘Tianna J-Williams Photography’. ‘The Client(s)’ shall be those persons who will fill out this form and book photographic services or use the website. The client(s) will agree to this digital contract and image release prior to the photo session booking, this agreement must be signed and submitted before any session can begin. a. The laws of England and Wales shall govern this agreement. These Terms and Conditions shall not be varied except by agreement in writing. b. In the event of any conflict between these terms and conditions (including those relating to the time of payment) and those issued or submitted by the Client and in the absence of any contrary agreement in writing these Terms and Conditions shall prevail. a. The booking fee of £99 is due in full by the client at the time of booking in order to secure the appointment. The Photographer will not hold any dates open without booking fee payment. b. Booking fees taken for any newborn, maternity, family and child portrait sessions or events are non refundable except in the event the Photographer cancels the booking. lf a booking is made online, and no suitable date can be arranged for the chosen session after consultation, then a refund will be given. c. Mini session booking fees are as stated and are also non-refundable. a. It is illegal to attempt to download, or to attempt to remove a watermark from, any image taken and posted online by Tianna J-Williams Photography for any reason. Should an image online be saved via any means, and used elsewhere without the written permission of the Photographer, whether the copyright has been removed or not, a copyright infringement fee of £1000 per image will be applied to avoid court action, and must be paid within 28 days. a. Tianna J-Williams Photography shall not be liable to the Client for any failure, in whole or in part, to fulfil its obligations where failure arises as a result of an event or circumstances beyond its control, which may include (but are not limited to) equipment failure, inclement weather, illness or injury. b. The Client understands and accepts that the photographic coverage will be as Tianna J-Williams Photography’s professional expertise determines. Special requests are not binding instructions although every effort is made to comply with the Client’s wishes. c. In the unlikely event of total photographic failure or cancellation of the contract by either party or in any other circumstances the liability of one party to the other shall be limited to the total value of the contract. Neither party shall be liable for indirect or consequential losses. d. If the Client fails to read the supplied PDF brochure, and therefore fails to carry out required preperations prior to a newborn session or other, Tianna J-Williams Photography will not be held responsible for any resulting reductions in quality or quantity of images supplied. a. The booking for this package must be made in full and consists of 3 sessions throughout the first 12 months (newborn, sitting (6-9 months) and first birthday). b. Client must order from each session before being permitted to progress to next session, and before free gift is received. c. Client can not combine session images into one gallery. Each session must be ordered from separately. d. Failure to place an order after a session will forfeit any free gifts and moneys paid and the package will become void. a. It is the clients responsibility to inform Tianna J-Williams Photography of any food allergy or intolerances the clients baby has prior to ordering the cake. Tianna J-Williams Photography will not be held liable for any adverse effect or illness the baby may suffer as a result of an allergy if the Client did not inform MRP. By signing the Cake Smash contract you waive all rights to pursue legal action against Tianna J-Williams Photography if any illness results due to lack of information given to Tianna J-Williams Photography by the client. a. It is the clients responsibility to inform Tianna J-Williams Photography of any pregnancy-related conditions which may cause discomfort during the session. b. Sessions must take place between 30-36 weeks and no later due to the increased likelihood of labour and birth occuring. a. All images produced by Tianna J-Williams Photography are done on a high resolution screen and all prints will be a true reflection of the editing carried out by Tianna J-Williams Photography and will not be held responsible for variances in images caused by clients viewing images on lower resolution screens or monitors. To ensure images are seen as intended it is advised that client views them at Tianna J-Williams Photography home studio. b. All prices are subject to change without notice by Tianna J-Williams Photography. No consideration will be given to previous clients regarding product pricing, availability, package structure, or session fees. a. As otherwise agreed between the Client and Tianna J-Williams Photography, Tianna J-Williams Photography shall be entitled to use her judgement regarding the style and artistic input in the production of pictures. This includes but is not limited to locations, poses and number of images taken. Due to the variances of weather and the willingness of subjects it may not be possible to capture all the pictures requested, or images to the clients full expectations. In the event of unco-operative children at a session of any kind, for any reason, Tianna J-Williams Photography may not be able to capture any, or all the images the Client may have requested or expected. The Client is responsible for all children at all times during sessions. b. Tianna J-Williams Photography fully edits all images before presenting to Client. Additional edits are carried out at the descretion of Tianna J-Williams Photography and reserves the right to charge the Client for additional editing to cover time involved, at a rate of £15 per image. Any additional edit requests MUST be raised by Client at the proofing stage. Requests not raised at proofing stage will not be considered once products have been ordered. c. Although Tianna J-Williams Photography will do its best to produce more proofs than discussed with the Client there is no guarantee that any particular number of proofs will be produced. d. lf The Client does not view or purchase images within three months of the session without arrangement, Tianna J-Williams Photography will assume they are not wanted and will delete all files. a. Copyright is retained by Tianna J-Williams Photography at all times throughout the world. No image can be copied, scanned or reproduced in any form whatsoever without the prior consent of Tianna J-Williams Photography. This includes saving, screen grabbing and downloading from Facebook or other social media. b. The Client may not alter or add to or manipulate a picture by means of computer or any other technique or reproduce a picture in whole or in part as an element within, or as a montage with, another picture without Tianna J-Williams Photography’s written permission. c. In the event of unauthorised reproduction, the Client shall pay by way of liquidated damages to Tianna J-Williams Photography an unauthorised use fee of £1000 per image, or double the standard reproduction fee for the use concerned, whichever is the greater. d. The images that are being provided to the Client are licensed for any reasonable personal purposes, including but not limited to printing, copying, emailing, and web publishing. Your license does not include use that results in financial gain, including but not limited to advertising, stock photography, print sale profits, or resale of any nature. Your purchase of the original files releases Tianna J-Williams Photography from any liability due to loss or damage of the images, and also releases Elisabeth Franco Photography from any obligation to maintain copies of any digital file, image, or photographs after 12 months from the date produced. e. The Client will fully indemnify Tianna J-Williams Photography against any unauthorised reproduction of a picture submitted to the Client made by any third party as a result of or arising out of any breach by the Client of any of these terms and conditions (including but not by way of limitation the Client allowing a picture or a copy thereof to come into the possession of a third party without Tianna J-Williams Photography’s prior written consent). a. While Tianna J-Williams Photography has taken reasonable care to correctly identify, caption and orientate the pictures, it does not accept any liability for loss or damage incurred by the Client or any third party caused by any errors. a. The pictures are presumed to have been received in good condition unless the Client notifies Tianna J-Williams Photography in writing of any discrepancy or error within 14 days of receipt via email to enquiries@tiannajwilliamsphotography.co.uk. a. Because the supply of the photographs has been made to the Client’s personal specification, (i.e. image number, print size, frame style, etc. ), the Client does not have the right to a cooling off period. b. By placing an order with Tianna J-Williams Photography you are committing to buy the ordered products. a. Incorrectly supplied items and items of poor quality can be returned and will be replaced at no extra charge to the Client. b. Faulty items should be posted to the address of Tianna J-Williams Photography. Please refer to clause 12a for information on how to proceed. The Client is responsible for any costs associated with return postage. c. Returns will not be considered for incorrectly ordered items or items ordered in error. d. No return, exchange or refund is available on any item once the image proof has been approved, and an order placed. a. Tianna J-Williams Photography does retain the right in all cases to use the pictures in any manner at any time throughout the world for the purposes of sales, advertising or promotion, of photography work. However, only with the explicit consent of the client will images be shared on social media. a. Model call photography sessions are offered at the explicit discretion of Tianna J-Williams Photography. If the Client agrees to a model call session at the specified date and time given, a refundable deposit of £25 will be required at booking. b. A separate MODEL RELEASE FORM will need to be signed by the Client to give explicit permission to Tianna J-Williams Photography for use of images across the following but not limited to Facebook, Instagram, Twitter and in a variety of print formats. c. A number of 3-5 images will be offered to the Client as a thank you for the participation in the model call. Additional images can be purchased at a reduced rate. d. Non-attendance by the client for a model call session will result in the loss of any deposit paid to compensate Tianna J-Williams Photography for use of time and preparation ahead of the session. e. Model call attendees must not have attended another model call for another photographer within the last 6 months, within a 50 mile radius of Tianna J-Williams Photography Studio. f. Any props and set ups are beyond the control of the parents and creative control remains with Tianna J-Williams Photography at all times. a. Cameras, camera phones, camcorders or any other recording equipment is NOT permitted during any session, either in the studio or on location, without the express permission of Tianna J-Williams Photography. b. Clients found to be in breech of this clause will have their session terminated, images destroyed and lose their session deposits and any monies paid. Tianna J-Williams Photography is committed to high standards of information security, privacy and transparency. We place a high priority on protecting and managing data in accordance with accepted standards. Tianna J-Williams Photography will comply with applicable GDPR regulations when they take effect in 2018, including as a data processor, while also working closely with customers to meet contractual obligations for procedures, products and services. 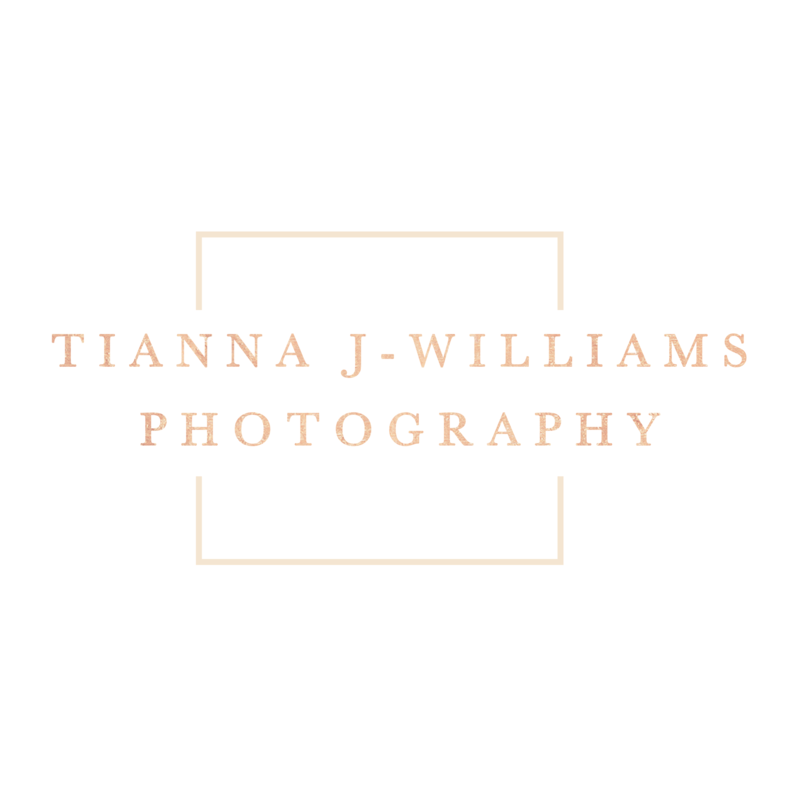 a. Tianna J-Williams Photography will never share, or allow to be accessed, shared or distributed, any personal or contact information of any client or enquiry obtained by any means. ALL contact information is protected on secure systems and password protected at all times.